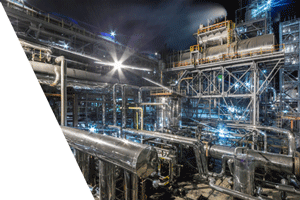 New North American nitrogen facilities are operational and their product is flowing. Distribution mechanisms are facing upheaval in the wake of the impending Magellan closure while fertilizer buyers are leveraging new production sources and reducing river reliance. New technologies, the prospect of regulated nitrogen use, relatively flat crop prices, anti-dumping duties and slowing economies are gaining disruptive momentum. Everyone agrees it’s an interesting time. And knowing what’s next for the North American nitrogen industry is becoming increasingly imperative. NITROGEN North America addresses the upheaval facing the agricultural and industrial markets for ammonia, urea, and UAN nitrogen products. Not a trade show, this event is all business. Join us and you’ll gain access to the latest data, interpretation, ideas and thinking about the nitrogen industry. What are the near, medium and long-term outlook for urea, ammonia and UAN prices? How will the Magellan pipeline closure impact the ammonia supply chain and costs, and what will replace it? What could a nationally regulated nitrogen reduction program look like? To what extent are the economics of ammonia use on the farm capable of supporting a reduction plan? What are prospects for nitrogen producers in the current financial environment? Are nitrogen product trade flows altered by the new production dynamics? PLUS you’ll learn about a startling new technology: nitrogen fixing cereals. 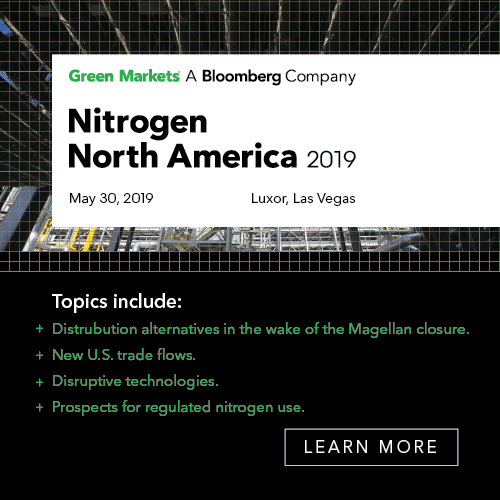 Check out the full agenda, review the expert speakers, and register to day to join the NITROGEN industry in Las Vegas, May 30th. Attendees of NITROGEN North America leave with the expert insight needed to effectively plan for the short, medium and long-term success of their business. One of Green Markets annually produced events NITROGEN North America has featured the following previous session topics, speakers and sponsors. Global Natural Gas Markets: Heading Into Surplus, But For How Long? Scott Dyer, Chief Science Officer, BayoTech, Inc.